When I worked in BigLaw, it seemed no associates were truly happy. It's a stressful job, with long hours, demanding bosses, and an employment model that requires most associates to leave the firm before ever having the chance to make partner. But when we asked BigLaw associates in Vault's 2016 Associate Survey how satisfied they were with their jobs, they were a pretty happy bunch. On a scale of 1-10 (completely unsatisfied to completely satisfied), the average score was an 8.08. But this score doesn't show the whole picture. So we broke satisfaction down by year, gender, and city to see which BigLaw associates are the most satisfied. 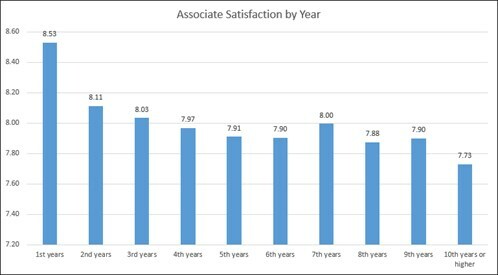 While it's not a perfect downward slope, satisfaction falls as associates move up through the ranks with only two slight upticks for seventh and ninth years. Overall, the longer associates are in BigLaw, the less satisfied they are. 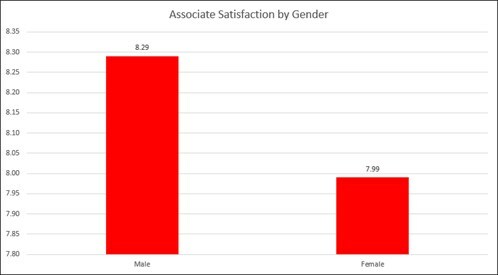 This graph is telling; male associates are significantly more satisfied in BigLaw than are female associates. There could be a lot of factors that explain this, including maternal leave policies, sexism in the workplace, and the diminished partnership prospects for female associates. Finally, we see that LA, Silicon Valley, and Boston associates are the happiest in country, while Miami and (especially) Denver lag behind. New York and DC—the two largest legal markets—are in the middle of the pack. So if you're a male, first year associate in LA, you're probably loving life. 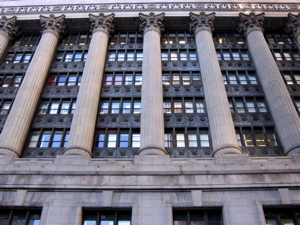 But if you're a female senior associate in Denver, probably not so much.